Received back the piece that won best in show. It didn’t sell, but I really love this print, so I am glad to have it hanging in my home. 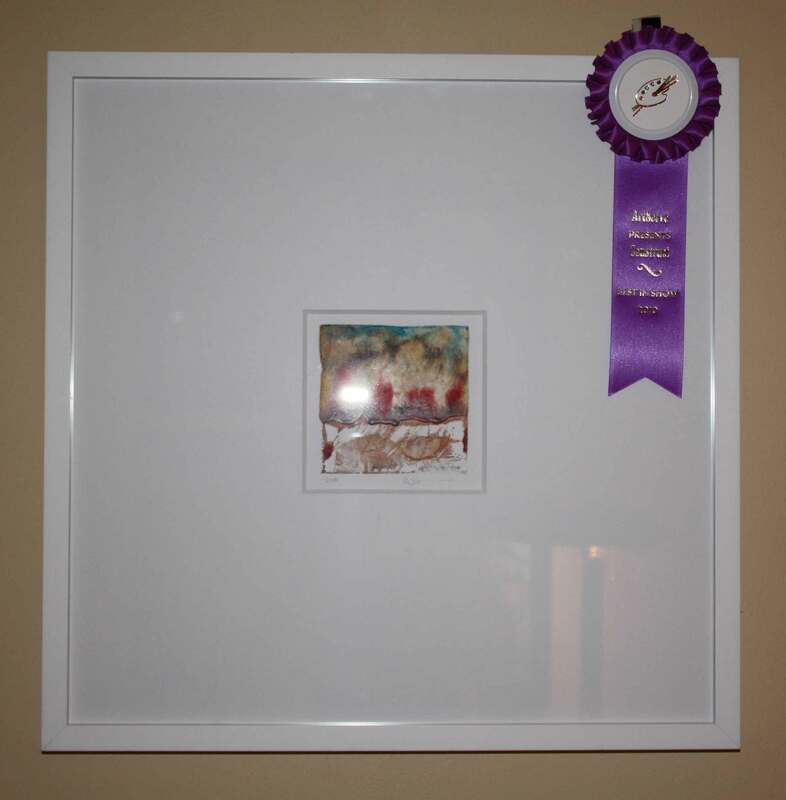 It is only 4″x4″ but I framed it in a mat that is 18″x18″. I love to work small, or very big. When I work “mid-size” it just doesn’t work for me. 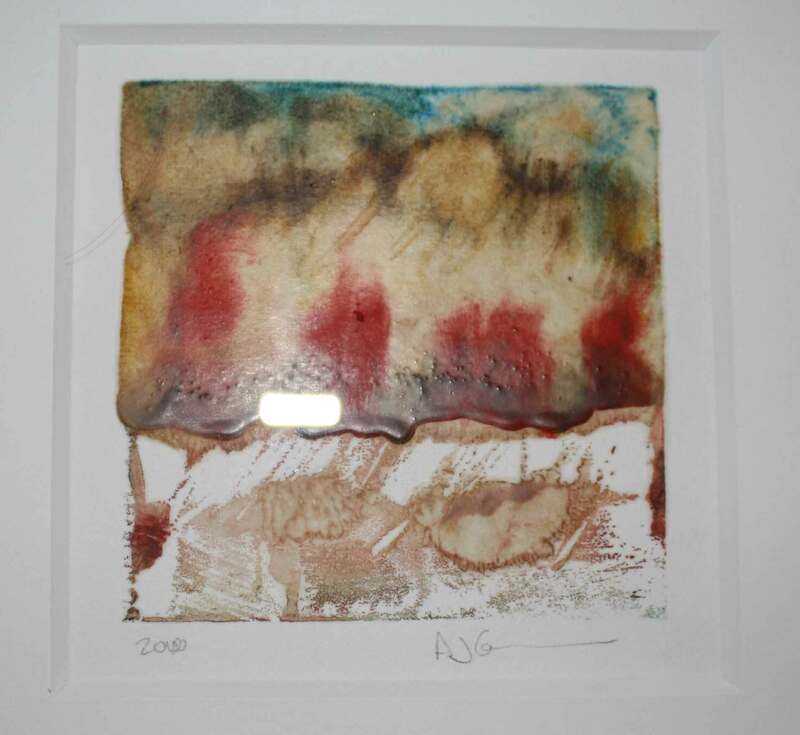 Twitter (I searched encaustic) and I love your stuff! I see whey this piece won-it’s fantastic. I agree with you-I realized I like my pieces to be really big or really tiny- I like extremes. Can I ask you what your substrate is on this one? did you use paper?